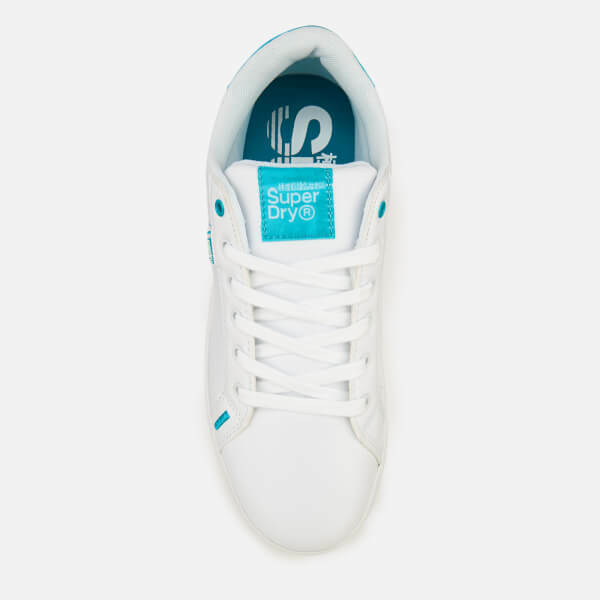 Women's white leather-look trainers from Superdry. 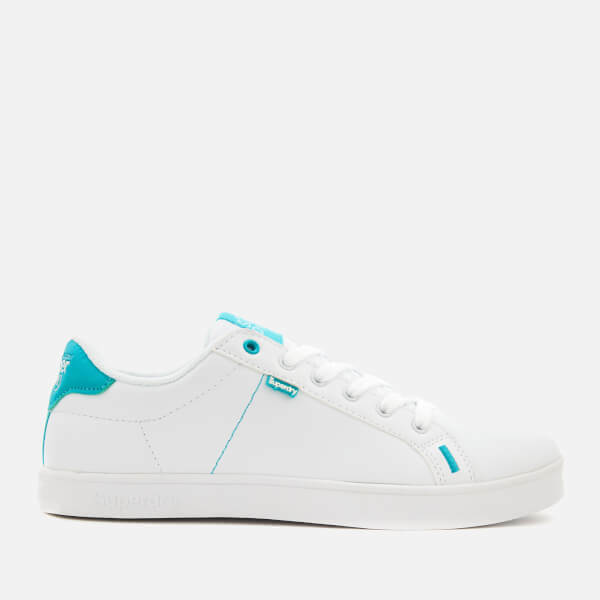 Showcasing a traditional tennis shoe design, the low top sneakers comprise a rounded toe, a tonal lace-up fastening and three side ventilation eyelets. Accentuated with contrasting aqua details throughout. 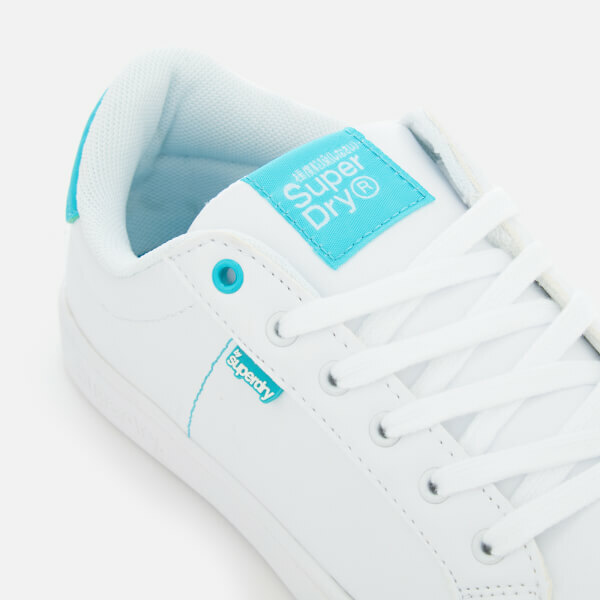 Set on a durable sole with a patterned tread for added grip.